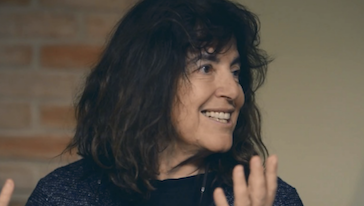 Mary Kaldor is a Professor of Global Governance and Director of the Conflict and Civil Society Research Unit in the Department of International Development at the London School of Economics. She directs the unit’s largest research project, the Conflict Research Programme (CRP), an international DFID-funded partnership investigating public authority through a theoretical lens of the political marketplace and the concept of civicness across a range of countries in Africa and the Middle East. Professor Kaldor is highly regarded for her innovative work on democratisation, conflict and globalisation. She was a founding member of European Nuclear Disarmament (END), a founder and Co-Chair of the Helsinki Citizen’s Assembly and a member of the International Independent Commission to investigate the Kosovo Crisis, established by the Swedish Prime Minister. Professor Kaldor pioneered the concept of new wars and global civil society and her work on the practical implementation of human security has directly influenced European and national politics. Her books include: The Baroque Arsenal, New and Old Wars: Organised Violence in a Global Era, Global Civil Society: An Answer to War and Human Security: Reflections on Globalization and Intervention. She is also the editor and co-author of the annual Global Civil Society Yearbook. Her books International Law and New Wars (2017), co-authored with Professor Christine Chinkin, and Global Security Cultures (2018) were the outcome of an ERC Advanced grant. At the request of Javier Solana, she was Convener for the Study Group on European Security Capabilities, which produced the influential Barcelona report, ‘A Human Security Doctrine for Europe’.